Weekly pool service is the best investment for your swimming pool. Weekly Pool Service, The Best Investment For Your Pool! As a residential or commercial swimming pool owner, how do you take care and manage your swimming pool? Are you willing to check the water chemistry regularly, skim the debris out daily if necessary and do all the other things necessary to make your swimming pool look great? We recently had conversations with a variety of swimming pool owners who state, “The vacuum won’t stay on for more than 20 minutes, the motor clogs up, so I go in with a screwdriver to make it turn again…. and the dirt/ just won’t clear up all the way. I’m having to backwash it every day for about 2 minutes. I truly regret getting a pool! 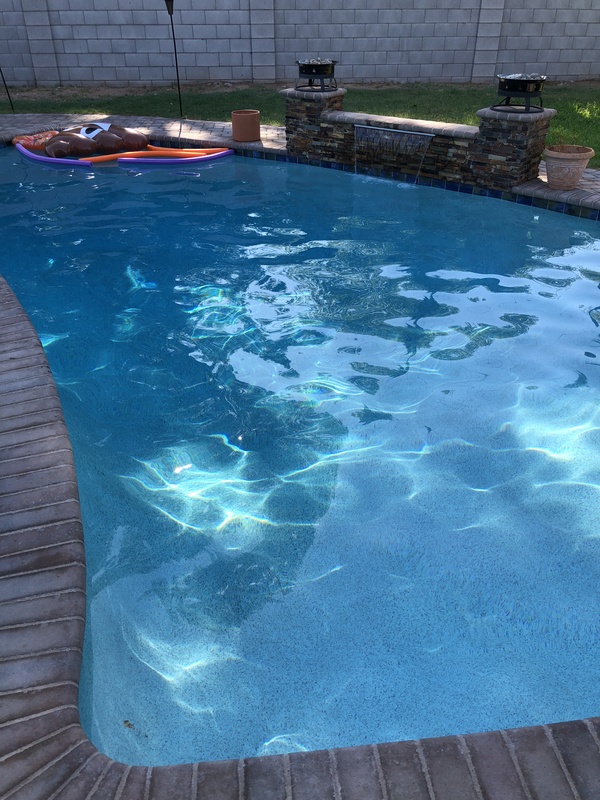 I feel so bad because my 7-year old boy really wants to swim and I just can’t get the pool right!” After this conversation, we found out he does have a pool service and quickly fired them! Let’s be honest, taking care of a swimming pool isn’t as easy as it looks. Anytime you have a large body of water, extremely hot temperatures (the pool water is over 90 degrees) it becomes more and more of a challenge. Not to mention, dirt, debris, and everything else add up to making a swimming pool a nightmare for most people. 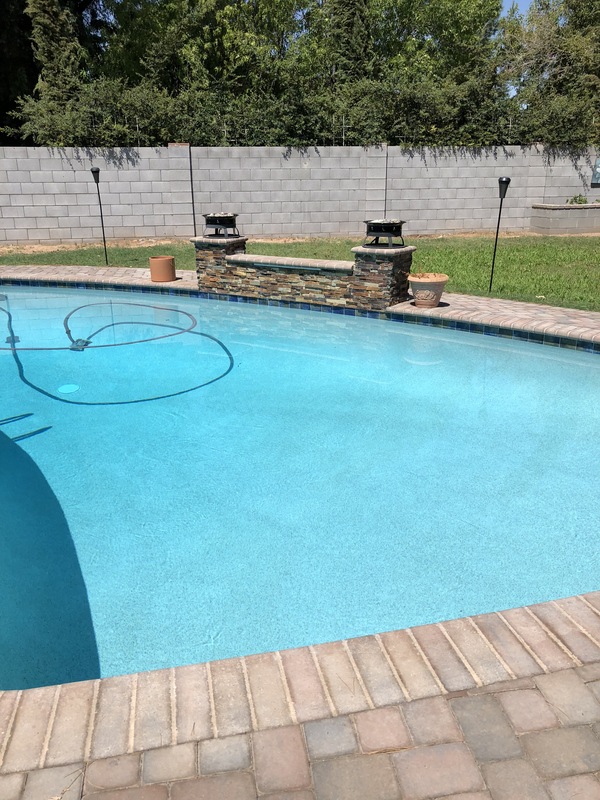 But at Weber Pools, we want to make owning a swimming pool much easier on you and that’s why our weekly pool service and maintenance program is the best! The bottom line is, no matter how proud you are, if you have no clue how to take care of a swimming pool, you shouldn’t. To be honest, it’s not easy especially when things go wrong and the water temperature is above 90 degrees. So, let us ask you a few questions…. Do you know how much chlorine to add to a 20,000-gallon swimming pool to raise it from 1ppm to 5ppm? Do you know how much acid to add to a swimming pool with a pH of 8.2 and you need to lower it to 7.6? Do you know how to check for phosphates in your swimming pool? Do you know what to do when your Cyanuric Acid levels are above 100ppm? 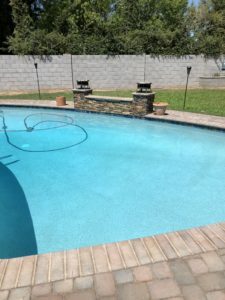 Are you willing to skim your pool regularly? Are you willing to vacuum it from time to time? Are you willing to brush the water tile line and interior finish of the swimming pool to prevent buildup? Do you know what to do when calcium starts to scale your tile and water features? Do you know how to backwash and when to do it? Do you know what to do when your plumbing is leaking? 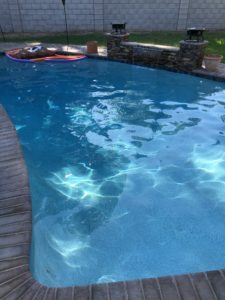 If any of the above overwhelms you, then you need to hire a reputable weekly service and maintenance company that can help make owning a swimming pool easy. At Weber Pools, we offer weekly pool service and maintenance for both residential and commercial swimming pools. We also offer The Puripool Process which can help with calcium scaling too. We would love to talk to you about your pool needs, offer you real solutions to meet those needs, while also saving you money. As pools become more advanced and technology-driven, the days of the old pool guy who showed up in flip flops and muscle shirts will be over. We believe we are a cut above most pool companies because we stay informed and educated about our industry. This is an important part of the Weber difference.